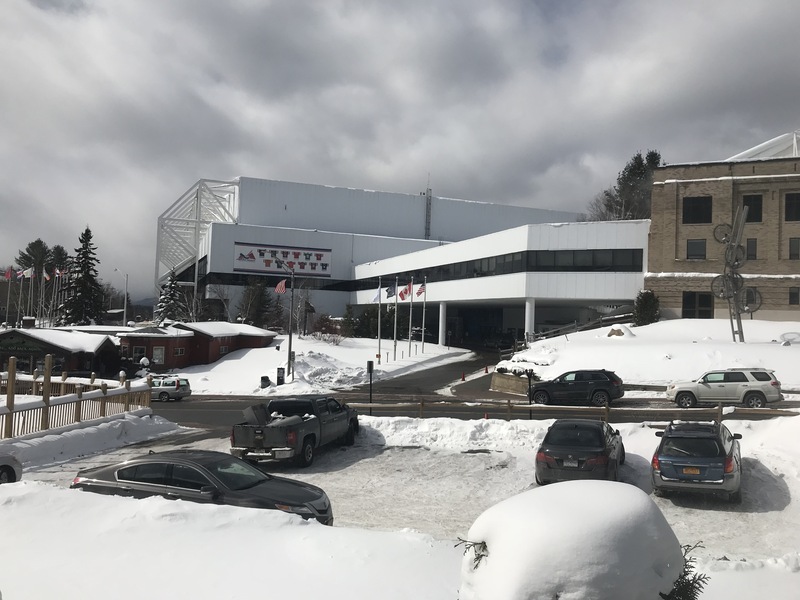 We arrived in Lake Placid to see the ECAC Hockey finals. 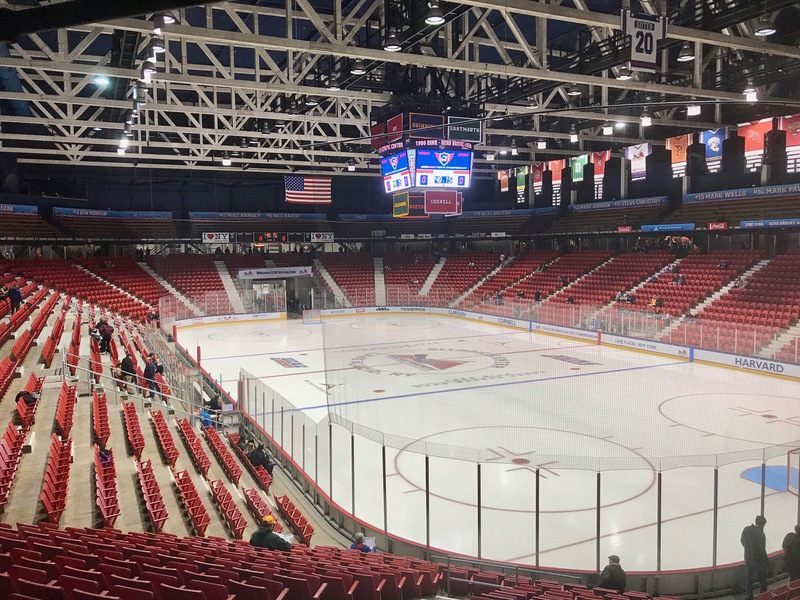 The three games were to be held at the famed 1980 rink, home of the “Miracle on Ice”. 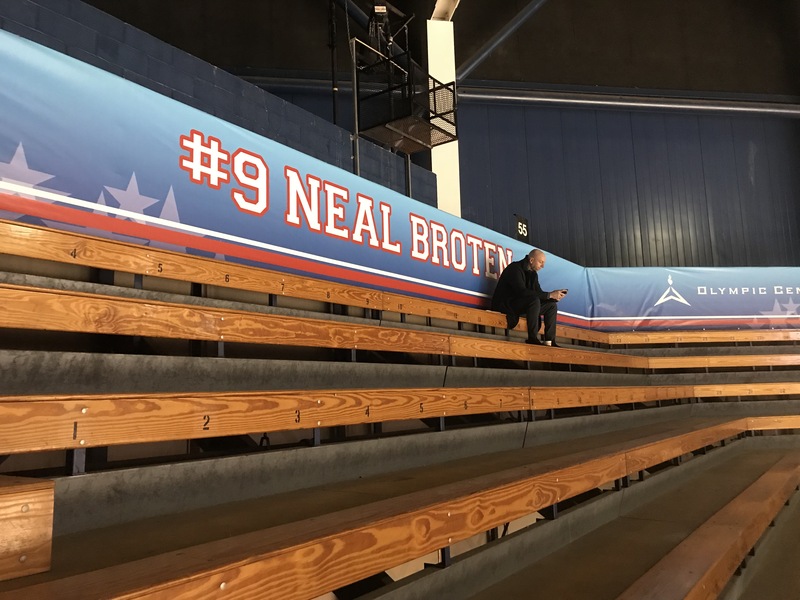 I have been wanting to see some hockey played here for years, and finally the opportunity came about with The Curator and Clarkson Doug. High ranked Cornell was to face upstart Princeton in Game 1. 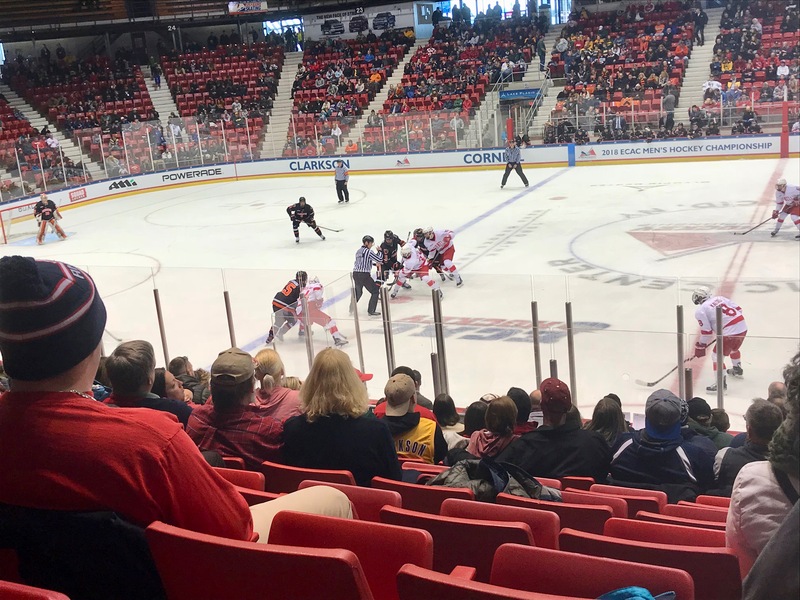 Cornell took the early lead at 1-0, but it really was all Princeton after that. The Tigers scored 4 unanswered goals, two by Eric Robinson, on their way to a 4-1 upset. Ryan Ferland was excellent in goal for Princeton. Game 2 was a very fun game to attend. Both Harvard & Clarkson skated well to open, and both teams had scoring chances. The Crimson took leads of 3-0 and 4-1, before Clarkson really turned things on. The Golden Knights, in an exciting comeback, scored 3 times in less than 3 minutes in the third period to send the game into overtime. Sheldon Rempal, who had been just buzzing all around the ice all game, scored the game winner in OT on an assist by Nico Sturm. 5-4 Clarkson win. 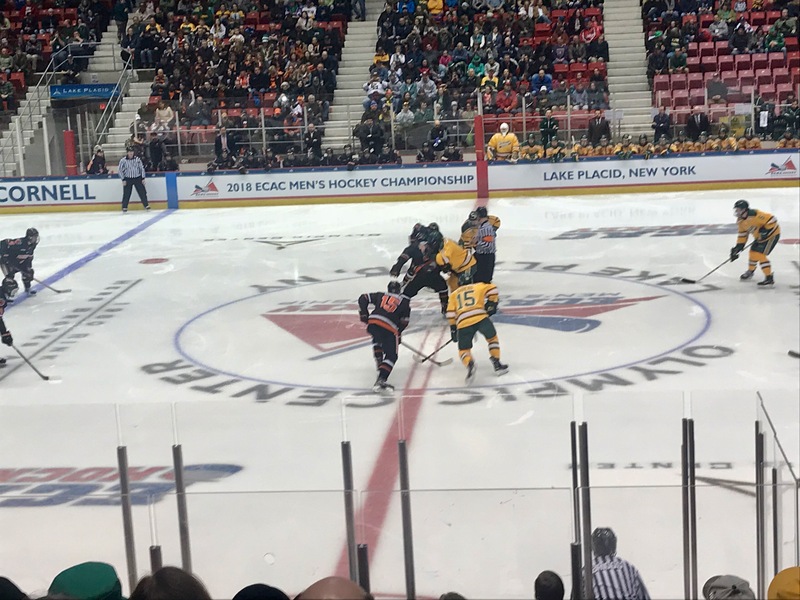 Clarkson would face Princeton for the ECAC championship. The Golden Knight already had a ticket to the National Tournament due to their good year overall. Princeton, on the other hand, needed to win to get in. Princeton played their game, and Clarkson seemed off all day long. The Tigers would take a 1-0 lead in period one, and they held on until 6.4 seconds were left in regulation, when the Golden Knights tied things up. For two nights in a row, Clarkson would send the game into OT, but their magic wasn’t going to last. Princeton had five shots in OT and Clarkson had none. You can’t win if you don’t put the puck o net, and Jeremy Germain scored the game winner for Princeton at the 2:37 mark of overtime. 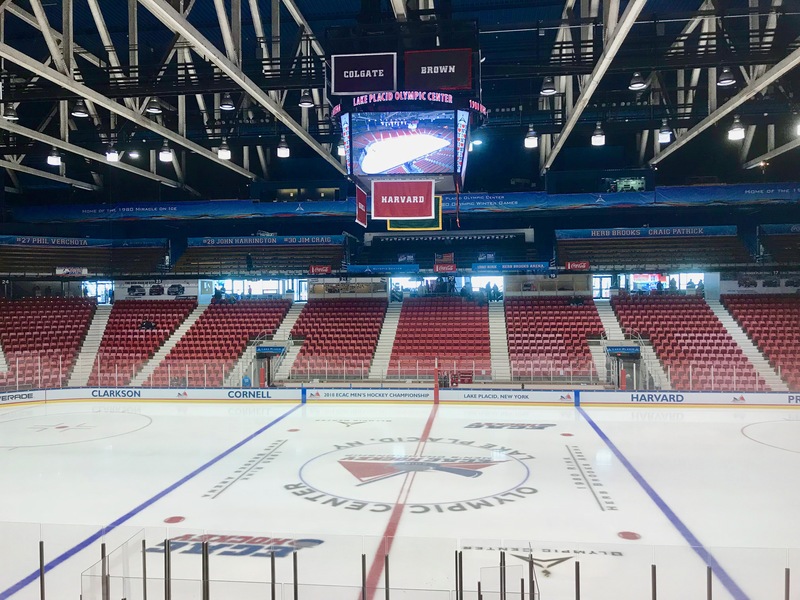 This entry was posted on Tuesday, March 20th, 2018 at 1:13 AM	and tagged with 1980 Olympics, history, hockey, ice, lake placid, Minnesota, photo and posted in travel. You can follow any responses to this entry through the RSS 2.0 feed.